An honours degree in three-dimensional design and a masters in industrial design gave Stephen a solid foundation in practical problem-solving that has served him well during the course of his career. Originally employed as a designer of mechanical solar shading systems for industrial markets, Stephen’s early work included the design, development and installation of a bespoke floor-to-ceiling operable fin system for the curved façade of Ericsson’s world HQ in Stockholm, utilising a pioneering gear-driven rotation system that tracked the movement of the sun. 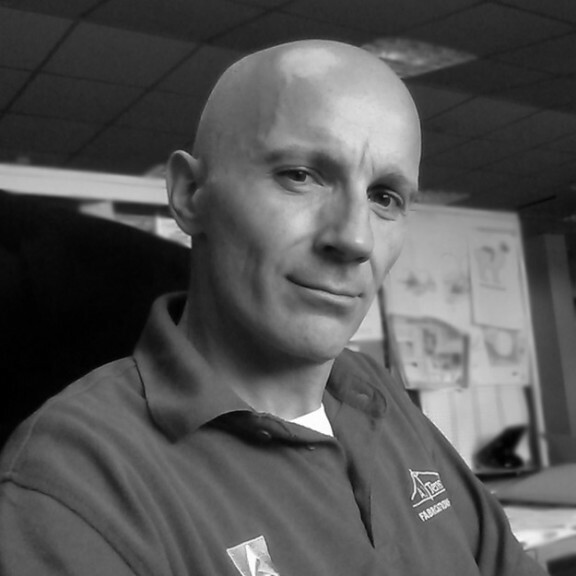 After eight years in the solar shading industry at market-leaders Technical Blinds and Levolux, Stephen was approached to head up the Interiors department at Architen Landrell where he remained for over a decade. Alongside the normal challenges of leading a key division of the company, he was also responsible for exploring domestic and international market opportunities and generating new business by winning, designing, project managing and sometimes even supervising the installation of a series of high-profile, innovative and award-winning schemes. Stephen’s major projects included Vodafone’s World HQ in Newbury, The O2 Entry Plaza in Greenwich, the Imperial War Museum in Duxford, Kensington Oval Cricket Pavilion in Barbados, and Zvartnots International Airport in Armenia. These days, when not overseeing the day-to-day operations of the combined Manufacturing, Tension Structures and Biogas divisions at AJ Tensile and ensuring that all departments work in harmony to deliver the best possible service to our clients, Stephen can be found bouncing around the wide network of local mountain bike trails, occasionally avoiding trees and generally hanging on for dear life.